Alpine Carpet One Floor & Home is your local source for carpet. 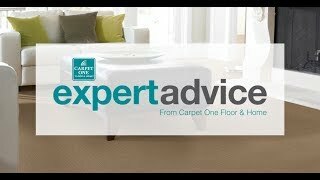 You can turn to our flooring professionals as your local carpet experts. Since carpet features unmatched characteristics and style, it continues to be a popular flooring choice among homeowners. Carpets are durable, soft, and stylish and have the ability to transform your space into a cozy retreat. Our flooring professionals take the confusion out of buying a new floor. We use the Select-A-Floor™ system in our showroom. Our system helps you to find a carpet based on your style preferences, lifestyle, and warranty level. Our carpet selection covers a wide range of options like being pet proof, child-friendly, resistant to wear caused by traffic, and allergy friendly. Carpet features a number of different benefits. Our stain resistant carpets make life easier in your home, and protect themselves from accidental spills and messes caused by pets or children. Carpet is considered allergy friendly and is a great choice for those who suffer from them. The fibers of the carpet can trap dust and dirt on the surface so it does not reach the breathing-zone and can be easily vacuumed up. We also carry our own exclusive carpets that feature H2O™ technology that makes them entirely waterproof. Carpet is made up of fibers which are then twisted into piles. Fibers come from different materials and can be with natural or synthetic. Synthetic carpet fibers include nylon, polyester, triexta, and olefin. Wool is one of the natural fibers used in carpets. Wool carpets have their own special benefits like being sound absorbing and having hypoallergenic qualities. Piles are the fibers twisted up. There are cut piles, loop piles, and even cut and loop piles. Carpet is made to handle a lot of activity and can be installed in children’s playrooms. We offer carpets that are resistant to staining, wear, and fade. Those types of carpets can be installed in heavily trafficked areas like hallways and staircases. Our waterproof carpet options can even be installed in basements. The most common spaces carpet is installed in include bedrooms and living rooms. The most important thing to do to keep your carpets looking fresh is by regularly cleaning them. At Alpine Carpet One Floor & Home, we are proud to be your neighborhood experts when it comes to carpet. As part of our selection of carpet brands, we have Carpet One Floor & Home exclusives such as Relax, it’s… Lees, Tigressá, Resista SoftStyle, and Innovia™ Xtreme Clean. Visit our South Lake Tahoe, CA showroom location to see our entire collection of carpeting. Carpet is available in different fibers and pile types. Everything that makes up a carpet plays an important role in how it looks, feels and functions in your home. Follow the link below to learn more about types of carpet. Keeping your carpet clean is easier than you think. We recommend having your carpets professionally cleaned at least once a year, but follow the link below for cleaning tips you can do yourself.